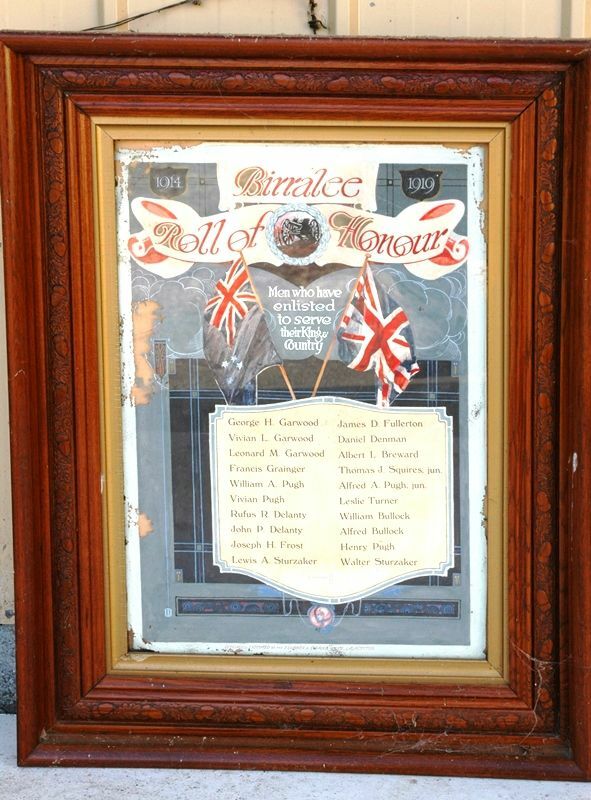 A framed paper honour roll commemorates those who served in World War One. It lists 20 names. 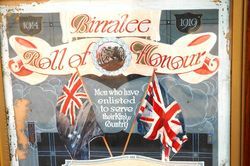 The unveiling of the Birralee honour board took place on Friday 17th September in the state school, and in spite of the inclement weather there was a good attendance. Rev. S. Churchward presided, and gave an impressive address. Councillor Wadley also spoke. The chairman then asked Mrs. W. Garwood to lower the Union Jack, and while the audience remained standing the school children sang "Soldiers of the King." 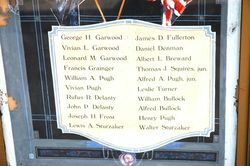 Mr Churchward then read the names on the honour board, numbering twenty. One made the supreme sacriflce in France, and one died from wounds after being invalided home. Examiner (Launceston), 22nd September 1920.